IV. 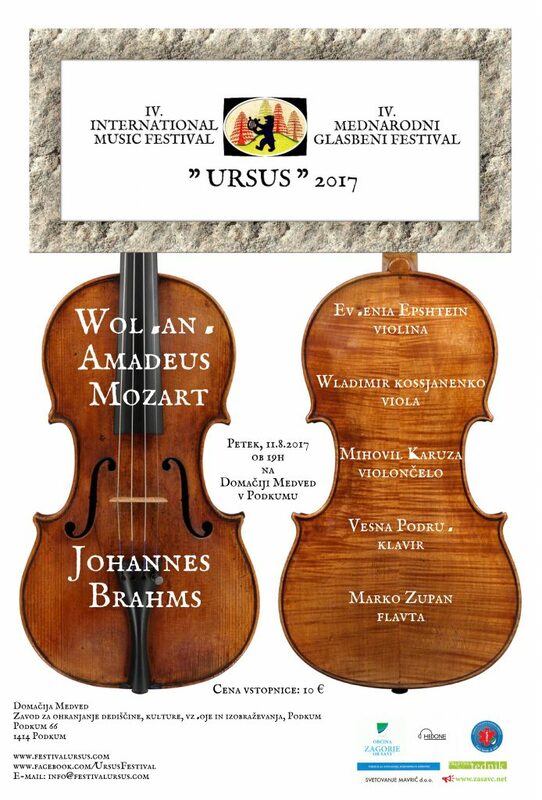 “Ursus” 2017 – "URSUS"
In Mozart’s days music was played by rubbing the hair of a horse`s tail over stretched sheep’s gut, plucking them with fingers or inventing certain devices to do so… These days, rather then gut (to the relief of the sheep), various types of metal are used as strings. The music thankfully remains the same, as do the musicians and the listeners. 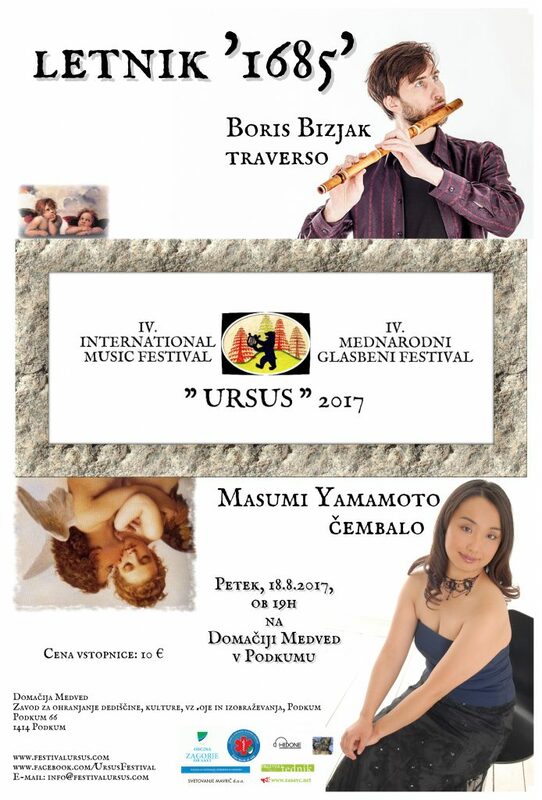 The fourth consecutive International Music Festival “Ursus” invites you again this summer to the wonderful atmosphere at the Homestead Medved at the foot of Mount Kum. Classical melodies will echo in the surrounding hills, forests, meadows and pastures, where happy sheep can again enjoy the role of listeners after many centuries of suffering! Perhaps the odd moment of inspiration will be echoed by a satisfied sheep during a concert. (Sheep-Talk for “bravo” or “encore” = “baaah” or “meeeh”). 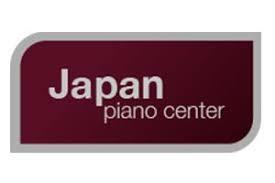 Musicians from Japan, Mexico, Russia, Israel, Croatia and Slovenia responded to the invitation to perform at this years festival. Friday, 11.8.2017 at 19h – Masterpieces by Wolfgang Amadeus Mozart and Johannes Brahms will be performed by the violinist Evgenia Epshtein, violist Wladimir Kossjanenko, cellist Mihovil Karuza, pianist Vesna Podrug and flutist Marko Zupan, all of whom, in addition to extensive concert engagements, teach at the Academy of Music in Split, Croatia. Friday, 18.8.2017 at 19h – A world of Baroque sounds will be conjured by Boris Bizjak on the baroque flute and Masumi Yamamoto on harpsichord. 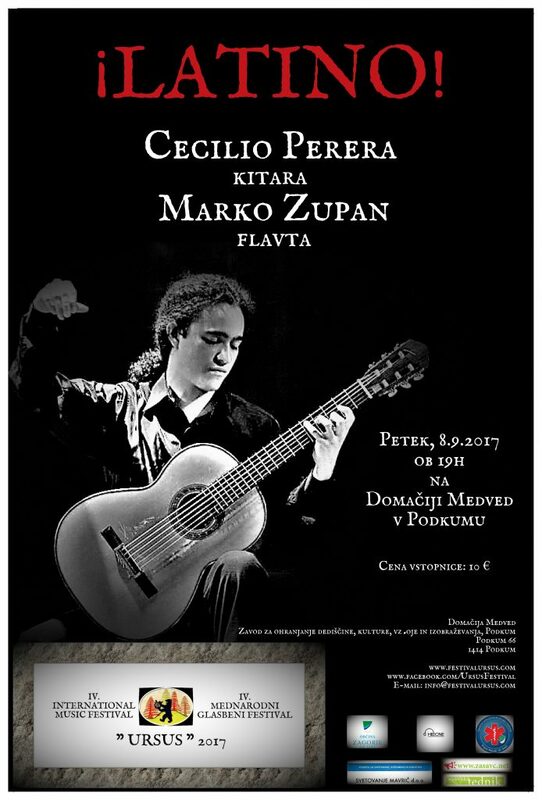 Friday, 8.9.2017 at 19h – In early September the Mexican guitar virtuoso Cecilio Perera will heat up the atmosphere with some latin temperament and South American music.